Drawing inspiration from the chaos of his neighbourhood in Chicago, the colourful world and imagination of J Fernandez is captured in his debut album Many Levels of Laughter. With lyrics reflecting the profound (emotional mushroom trips), the mundane (dentist visits, board games) and life's other curiosities (sleep apnea, Craigslist encounters), it’s an album steeped in DIY origins, but offers a superior exploration of sound that’s all set to wrap J Fernandez in a far worldlier embrace. Born to Filipino immigrant parents, J (Justin) Fernandez relocated to the Windy City from his native Little Rock, Arkansas in the early aughts to begin work for the U.S. map company Rand McNally. Spending his spare time navigating his own personal world of musical endeavours, he created three unique and accomplished early EPs Olympic Village, No Luck and Memorize Now that placed him alongside label peers Best Coast, Mount Eerie, and Dirty Beaches whilst winning him praise and comparisons to everyone from Syd Barrett, to Robyn Hitchcock and Ennio Morricone. 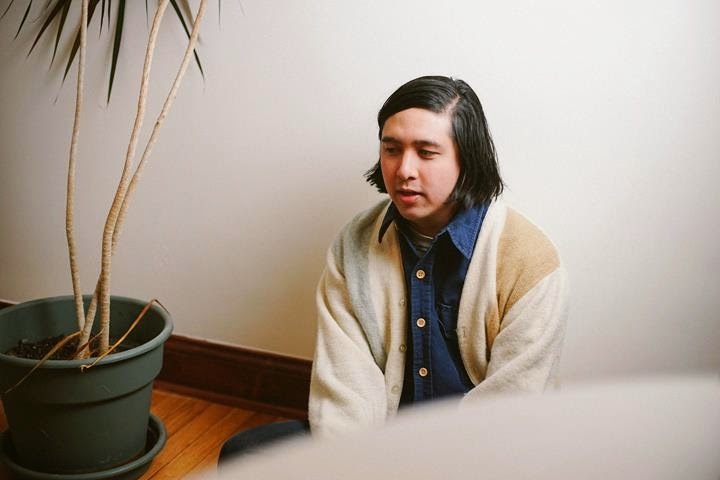 Fernandez’s songwriting draws on disparate influences from Terry Riley to the annals of early electronic music, pop and psychedelia, not to mention Can, Yo La Tengo, Jim O’Rourke, Electric Prunes, James Burke’s ‘Connections’, Carl Sagan, Bas Jan Ader, the winter in Chicago, and Adderall. Listen closely to ‘Markers’, you can hear manipulated found sounds of the outside world behind looped Casio keyboards. Elsewhere the mellow jazzy tones of ‘Filled With Joy’ recall the energy and sonic sound of 90s Argentine band Babasonicos whilst the layers of broken Moog string synthesizer on ‘Apophis’ is played backwards and perhaps hints at a sound of the future. “I dreamed I was floating out of my living room and over the freeway and blood started coming out of my mouth. I woke up and needed a root canal,” he says of ‘Holy Hesitation’. Enlisting friends Matt Fields (saxophone) and Michael Gillilan (additional drums) to help reinforce Fernandez’s own love and expertise for creating loops, heavily built around Vox Jaguar organ, bright guitar, horns, and tape delay, Through J Fernandez’s precision in mapping a well-trodden DIY path, whether hand-printing artwork cassette tapes or packing up and hitting the road for long drives to play far away shows, what he’s created is a sound that exists well beyond its years, and pushes well beyond the outer limits.